Remember that old saying, ‘one man’s junk is another man’s treasure’? Well, that other man (or woman) could be you. Before you book garage clearance or throw out your old stuff, why not see if there’s something you can do to make it useful or pretty again? Check out these simple ideas for upcycling some common items in your home. The rustic look is all the rage right now and how better to create it than with wooden, upcycled shelves? 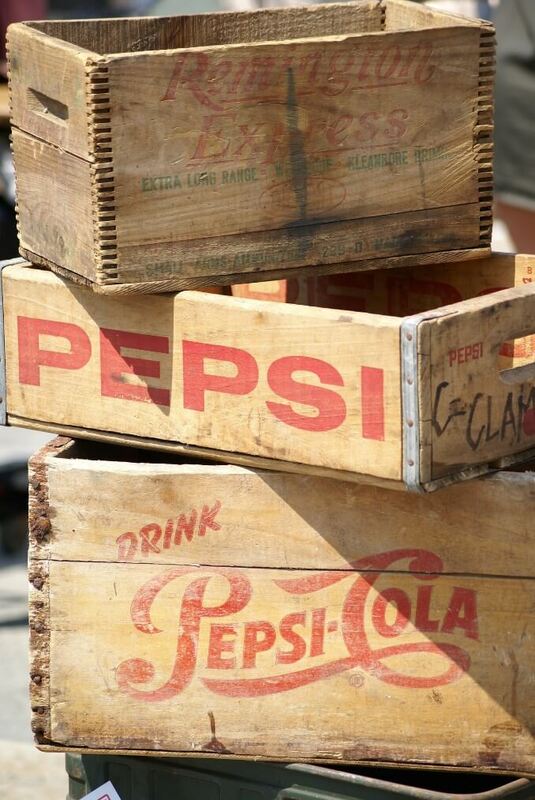 Paint or varnish the crates first, if you like – although leaving them bare will look just as great! Decide what kind of layout you’d like, and simply turn them on their side, so that the base of the crates are against the wall, then hang up using a level, a drill, and screws through each of the four corners. Even if you only have one, it will still look great on your wall. Fill your new shelves with books, photos, ornaments – or whatever you like! Before you throw that old wooden ladder away, have you considered using it as extra storage in your home? Step-ladders in particular make great shelving, with a rustic country look. Repaint if you need to, or just use it bare as it is, and keep anything from books to plants to ornaments on it! 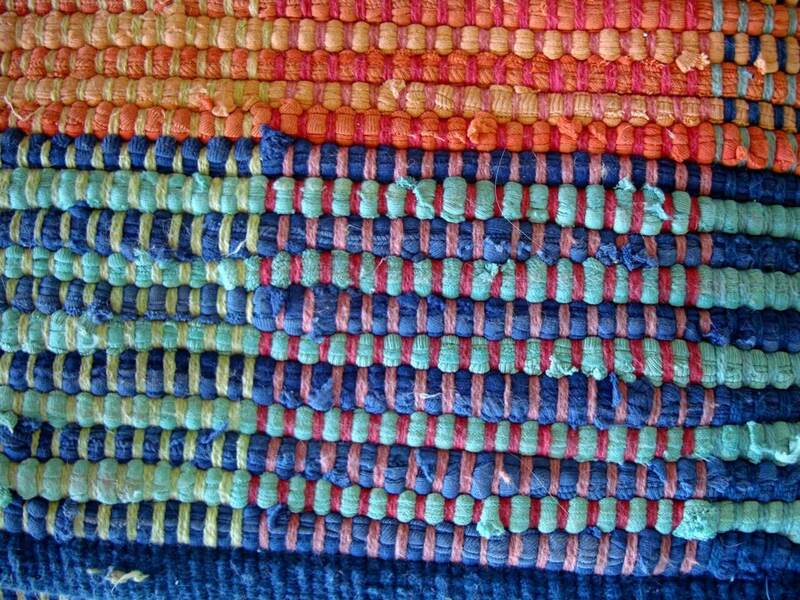 Before you go chucking out all of those old t-shirts, why not think about making a rag rug? They’re colourful, fun, and easy to make – and could make a great activity for you and the kids. Check out the tutorial here. You can make it as large or small as you like – all you need are a bunch of old tees, a sewing kit and a peg. Oh, and a non-slip underlay if it’s going on wooden floors. Tatty old suitcases can look really stylish when repurposed into bedside or coffee tables. If you have two or three, this is really easy. Simply stack them on top of each other (store things like bedding in there to bulk it out if the suitcase has a soft casing like leather – extra storage is an added bonus!) and rest a tray or mirror on top so that you can rest items on it. It’s that easy! 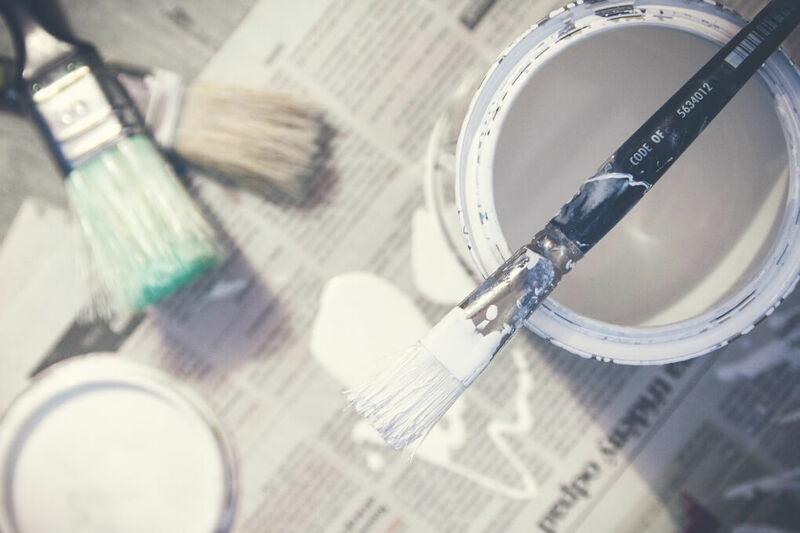 Upgrading a piece of furniture can be as simple as a lick of paint! Perhaps you want a new dining table or chest of drawers and need to get rid of the old one. Why not save yourself some money and give your piece a new lease of life instead? Depending on the material it’s made from, you might only need a bit of sandpaper and a tin of paint. Here’s a great tutorial for painting wooden furniture. With a little bit of knowhow, old bicycle wheels can be turned into funky clocks. Imagine how cool this would look on your wall! You’ll just need a clock kit and a few simple tools to put this together, and voila – your very own ‘designer’ clock. Find full instructions here.